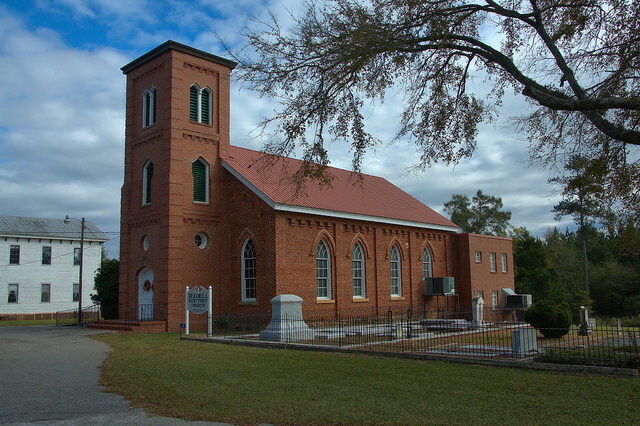 Daniel Ashley Jewell, who made a fortune with his prosperous cotton mill on the Ogeechee River beginning in 1857, funded the building of this beautiful church. It was originally known as the Missionary Baptist Church of Christ at Jewell. Jim – Are you and John R. Gunn descendants of Rev. Radford Gunn? That is my husband’s line. Another wonderful jewel in Jewell! !